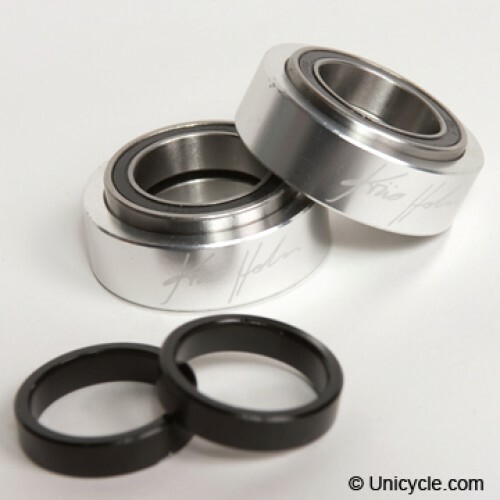 This set of bearing shims allows compatibility between ISIS hubs and frames with 40mm bearing housings. Sold in pairs.Note:to be fully compatible, frames must also have the same bearing spacing as the available ISIS hubs (e.g.100mm for KH Moment or Nimbus hubs). This set of bearing shims allows compatibility between ISIS hubs and frames with 40mm bearing housings. Note:to be fully compatible, frames must also have the same bearing spacing as the available ISIS hubs (e.g. 100mm for KH Moment or Nimbus hubs).